A recent financial audit of Moraine by the Auditor of State’s office has returned a clean audit report. 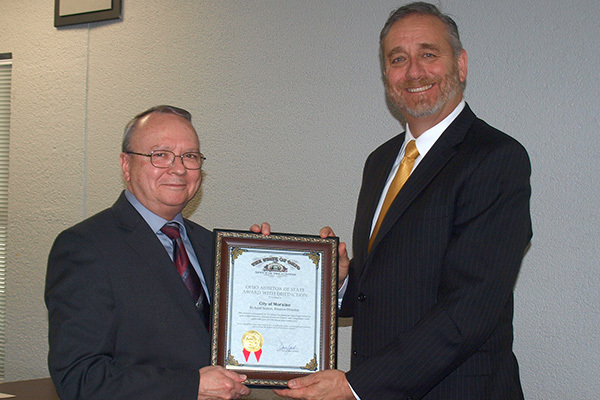 Moraine’s excellent record keeping has earned it the Auditor of State Award. “We are very proud of our Finance Director Richard Sexton and our Finance Department for receiving this award,” commented Mayor Elaine Allison.